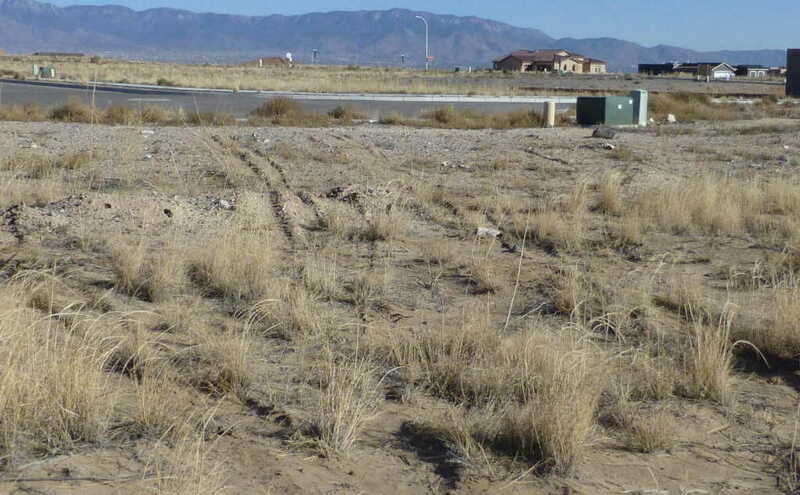 MLS# 935393 - 6519 Picardia Place Nw, Albuquerque, NM 87120 - The FIRM Real Estate Group Inc. Owner financing possible. Large (almost .4 acre), level lot, with 5 sides – dimensions approx. 122 x 167 x 51 x ? – on cul de sac. Located in developing Volcano Cliffs subdivision of custom homes. Utilities are near, the street is paved, sidewalk, curbs and gutters are in. Near a park and major access roads to both Albuquerque and Rio Rancho. Special assessment fully paid.